The year is 1967. American troops are making their way through the jungle of the Cu Chi District of Vietnam. The opposing Viet Cong have developed an uncanny ability to blend into the surrounding terrain. The jungle is riddled with traps. Snipers appear from nowhere and vanish just as quickly. The Vietnamese that inhabit the tunnel are faced with an equally grim task. By resorting to primitive, but ingenious methods of combat, the Vietnamese have proven to be surprisingly effective against the American’s superior technology. 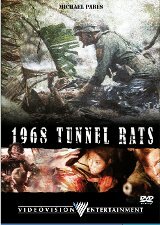 When the battle moves underground, our group of young Americans and Vietnamese face unspeakable horrors. Survival becomes increasingly unlikely, as both sides fight to further the cause of a war that neither asked for.